Self-Publishing Author Spotlight: Bernard J. Nebel, Ph.D.
At Outskirts Press, Inc., we take great pride in celebrating the work of our successful self-publishing authors, and we do so each week through our Self-Publishing Author Spotlight. This week we highlight self-publishing author Bernard J. Nebel, Ph.D., who has published four successful titles with Outskirts Press. Learn more about Bernard J. Nebel, Ph.D., his background and expertise that is clearly shown within his published works, through this week’s Self-Publishing Author Spotlight. Bernard J. Nebel, is a scientist (Ph.D. Duke Univ. 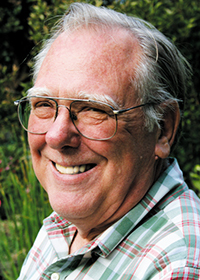 ), one of the early pioneers of environmental science education and author of a widely used environmental science text, Environmental Science,Prentice Hall, 1981, 1987, 1990; Nebel and Wright, 1993, 1996, 1998, 2000), career teacher, and student of learning. In recent years, Dr. Nebel has turned his attention to the looming problem of science education, the fact that lack of scientific understanding is so widely displayed, yet recognized to be so vital in today’s world. Dr. Nebel has created a system where lessons build in a logical, systematic, steppingstone fashion to give children a broad, integrated foundation including factual knowledge, performance skills, and logical thinking. This is The most comprehensive science curriculum for beginning learners that you will find anywhere. The book has 41 41 lesson plans that cover all major areas of science. Lessons are laid out as stepping stones that build knowledge and understanding logically and systematically. The book features child-centered, hands-on activities at the core of all lessons bring children to observe, think, and reason. Interests are maintained and learning is solidified by constantly connecting lessons with children’s real-world experience. Skills of inquiry become habits of mind as they are used throughout. The lessons integrate reading, writing, geography, and other subjects. Standards within the book, including developing a broader, supportive community of science learners come about as natural by-products of learning science in an organized way. Particular background or experience is not required. Instructions include guiding students to question, observe, think, interpret, and draw rational conclusions in addition to performing the activity. Teachers can learn along with their students and be exceptional role models in doing so. Need for special materials is minimized. Personal, online, support is available free of charge (see front matter). Science is such a vast realm of knowledge and skills, it is hard to know where to start or what direction to go. In these volumes, Nebel distills teaching science into distinct “learning progressions” that develop knowledge and understanding in systematic, incremental steps. Following these progressions will guide students toward a broad comprehension of facts, ideas, and concepts embracing and integrating all major areas of science. Furthermore, the described methods of presentation, which emphasize first-hand observation and reasoning, will guide students to practice and develop the mind skills that underlie all scientific discovery. The learning progressions and emphasis on “discovery learning” make these books valuable for older beginning science learners, as well as K-8 students, and serve in preparing them to master the Next Generation Science or other state science standards. This book features science lesson plans that develop an understanding of scientific ideas and concepts in clear steps. The “Building Foundations of Scientific Understanding” (BFSU) volumes are only part of the package. At no additional charge, the author provides an online support/help service. Go to BFSUcommunity.com, register, and you will have easy access to photographs, diagrams, videos, and other aids that will enhance your presentation and aid your children’s learning of each lesson. There is also space to ask questions, state problems, or make other comments. As the author, Nebel promises tol be on hand to help, so far as he is able, and every group member is encouraged to share her/his experience and expertise. In total, BFSU provides you with the “what to teach,” the “how to teach it,” and ongoing support needed to give children a solid foundation of knowledge, understanding, and practices covering and integrating all major areas of science. A sidelight will be preparation for NGSS. Teachers, homeschoolers, and parents will find here a practical pathway toward giving kids, during their K-8 years, conceptual knowledge, understanding, and thinking skills embracing all the major areas of science so important in today’s world regardless of ultimate careers. No one would dream of teaching math as a helter-skelter of computational skills and concepts. Yet, this is what typically occurs in teaching science at the K-8 level. Look for a difference in the Building Foundations of Scientific Understanding series. Nebel constructs and organizes lessons so that scientific skills are developed and integrated in a systematic, logical way while still allowing flexibility to accommodate the individuality of children. Skills of inquiry and rational thought become habits of mind as each lesson draws students, hands-on, to examine, reflect, question, discuss, test, and reason their way toward rational conclusions. Lessons become meaningful and retention is enhanced by constantly relating lessons to real-world experience. Standards are achieved, not by teaching to the test, but by being natural outcomes of integrated learning. Math, reading, writing, and other subjects are easily integrated. Lists of additional readings are provided with each lesson. Special training for teachers is not required. Teachers will learn along with their students and be excellent role models in doing so. Costs are kept minimal by utilizing commonly available items and materials. Yesterday’s edition of the Georgetown Times (News??) ran a nice story on p. 3 re the release of my newest book, Murder in Murrells Inlet. I’d be grateful if you could post some info re that on your blog & Facebook pages. Regards, Peter Warren. Hi Peter! Congratulations on your book! We would be happy to share your article. Peter, I have found your article and will share it on Facebook today. We will also share this article across our other social media platforms. Congrats again! Previous Previous post: Why Do We Edit?